If you add items to your shopping cart that are NOT marked "FREE SHIPPING" a $6.95 shipping fee will apply unless your total order is $75 or more. 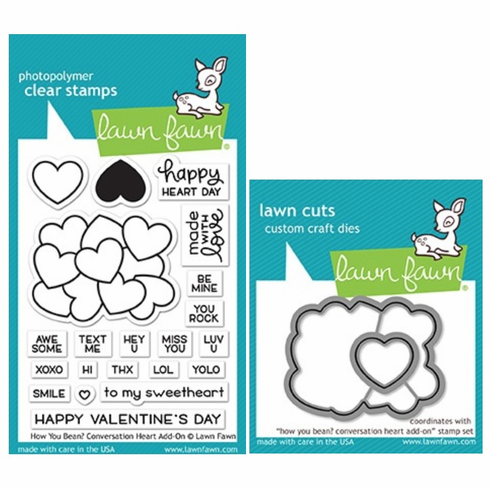 Lawn Cuts dies are high-quality steel, made in the USA, and are compatible with most die cutting machines! Stamp Set - 3x4 inch backing sheet. cluster of hearts: 2" x 1 1/2"
outlined single heart: 5/8" x 3/4"
happy valentine's day: 2 1/2" x 1/8"